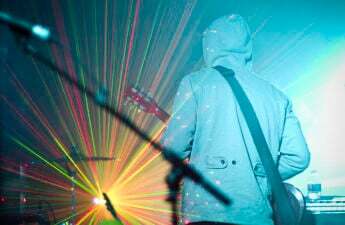 The Majestic Theatre acted as a portal for space and time travel as the indie alt-rock band STRFKR took the crowd on a colorful journey Friday night. As patrons made their way from the fresh snow into the sold-out show, they were greeted by opener Psychic Twin, whose sultry vocals easily warmed up the crowd. While STRFKR released their fifth studio album, Being No one, Going Nowhere, late last year, it wasn’t until mid-show that the band started pulling songs from their most recent project. After “Atlantis,” the show took a nostalgic turn. The band played classics from their 2013 release Miracle Mile and 2008 debut Starfucker. Along with the diverse setlist, the visuals of the show featured a mix of futuristic laser light shows and ’90s “Matrix”-like green, digital rain. 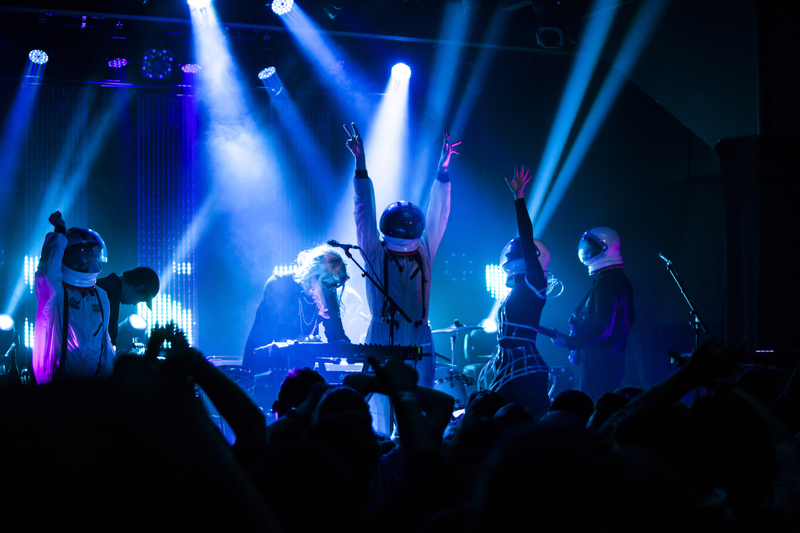 With the blend of old and new elements, the crowd couldn’t help but feel as if STRFKR was sailing them through a time warp. The crowd had no problem dancing on their own to classic hits like “Girls Just Wanna Have Fun” and recent singles like “Tape Machine,” but just to make sure everyone was paying attention, the band literally threw a couple of astronauts into the crowd — and Psychic Twin herself — to keep everyone on the edge of their heels. Even from the back of the theatre, one couldn’t possibly miss the astronauts. Whether they were surfing the crowd, stripping one of the band members or tenderly dancing on them, the energetic space men added their own special flair to the show. As STRFKR finished their set and left the stage, patrons kept shouting and stomping the beer-soaked floor of the Majestic, begging the band to come back for an encore. 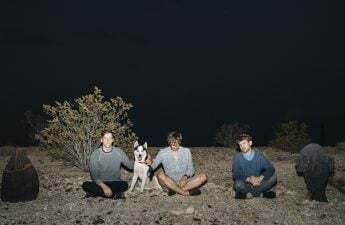 Overall, the beautiful mix of their old and new discography is a testament to how far STRFKR has come and reminds us all they’re here to stay.